I recently created an art print dedicated to one of my favorite shows, Doctor Who. The art print features my favorite quote from the 11th Doctor (Matt Smith). 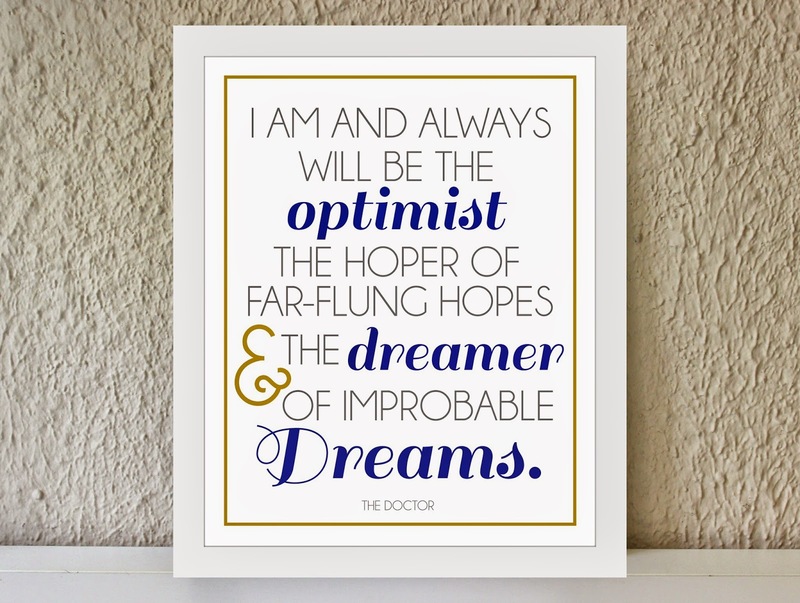 It states "I am and always will be the optimist, the hoper of far-flung hopes and dreamer of improbable dreams.". It's such an inspiring quote that I really took to heart. 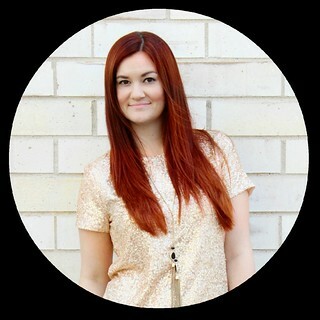 We should all try to be a little more optimistic and believe in our dreams. 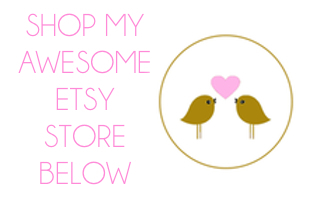 As an Etsy seller, I have to push myself and believe in my dream of running a successful store. If I start to get down, it shows in my work. Instead I try to look to the things that make me smile, like Doctor Who and my little puppy Lilly, to keep optimistic and happy. What do you do to say positive? You can purchase the above print here. Another thing that keeps me positive is the support of the etsy community. Etsy is full of very talented sellers! 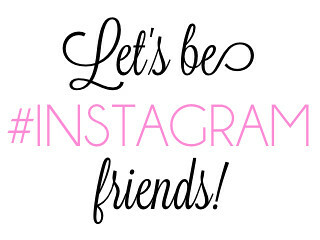 It's so easy to hop onto the site and find beautiful crafted items from sellers all over the world. 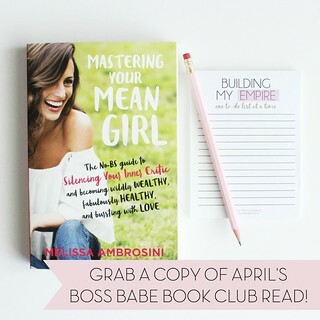 The great thing about Etsy is that it supports a community environment in which sellers support each other and encourage each other rather than simply falling to the negative side of owning your own business such as vicious competition and rude behavior. 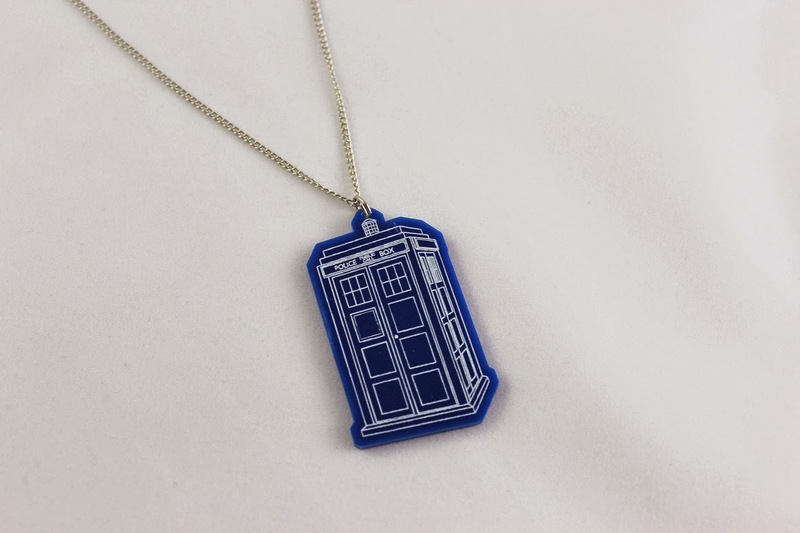 In honor of the optimistic spirit...I want to share with you a few of my favorite Doctor Who items from other Etsy sellers. 2. 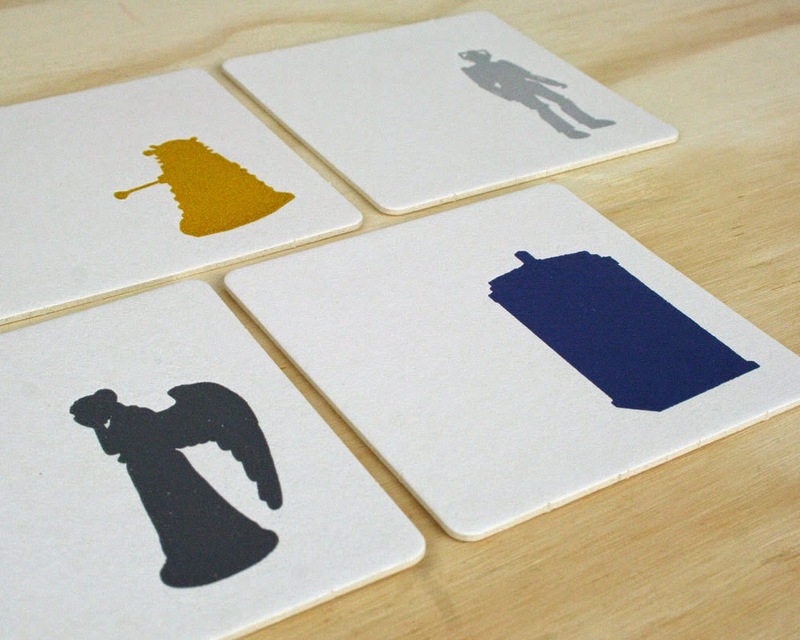 Doctor Who letterpress coasters from greenbirdpress. 3. 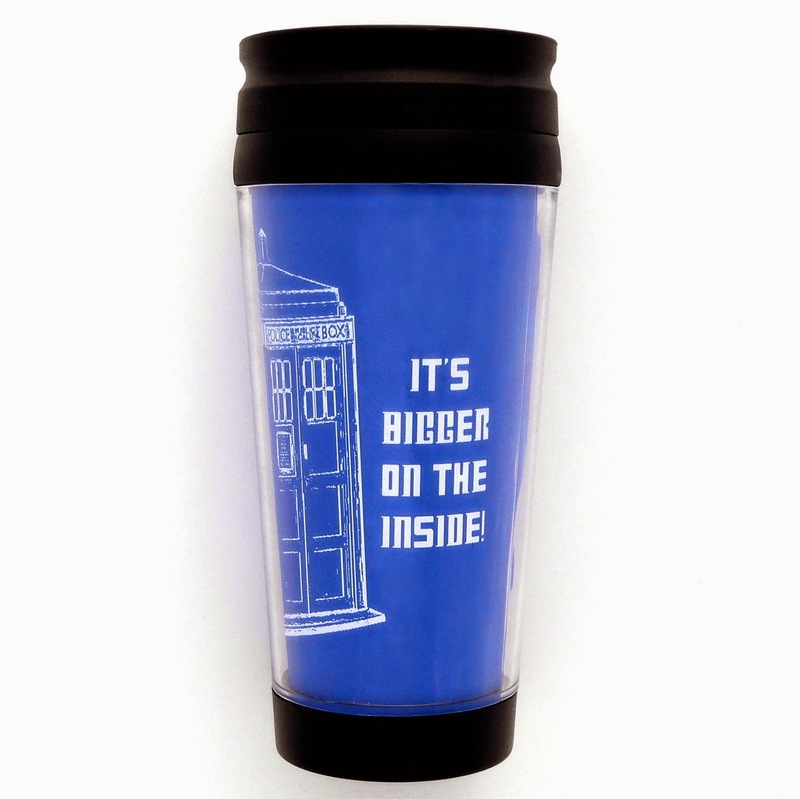 Tardis coffee mug from kitchville. 4. 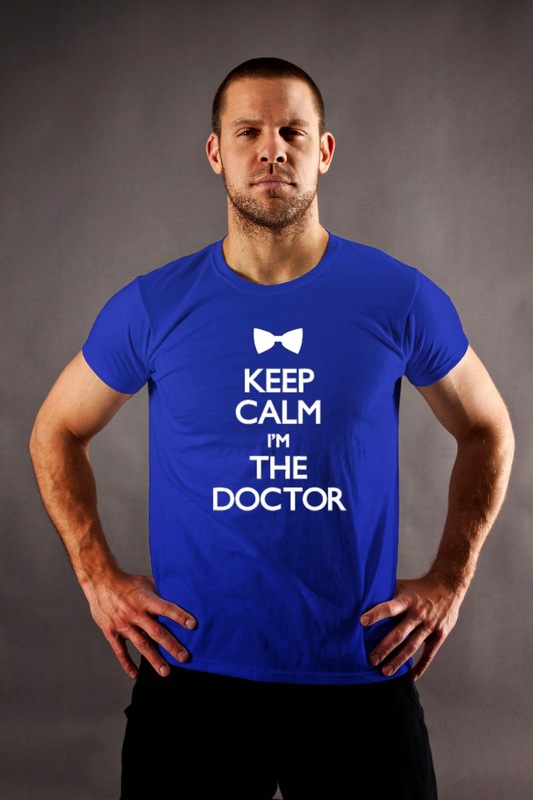 Keep Calm I'm The Doctor Shirt from 25MillingRd. 5. 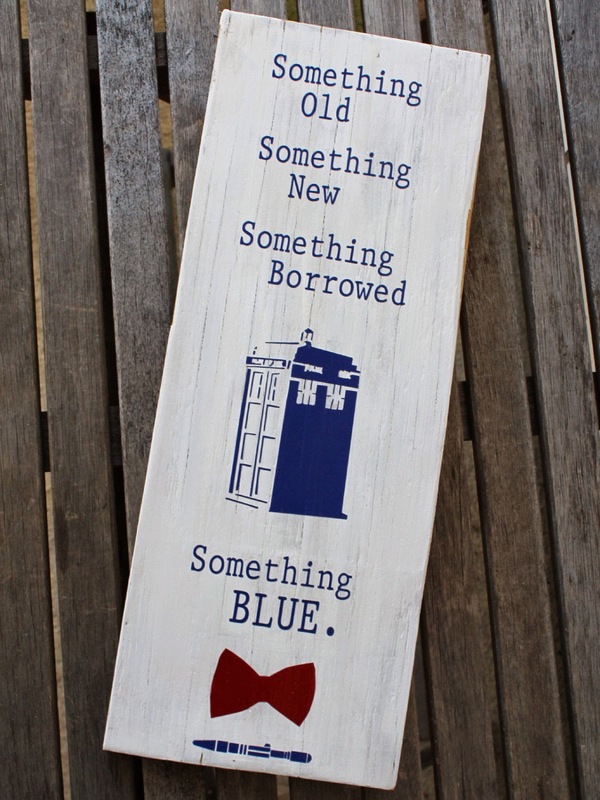 Something Borrowed and Blue Wooden Wedding Sign from doodlesbynoodles. Stay positive. Be an optimist. Dream such big amazing dreams. You can purchase my Doctor Who art print and more at my Etsy store and my Society6 store.